Notice: This house is operated by St. Johns Church and can be closed at any time for any reason for church related functions. Tuesday, Thursday and Friday. 10 a.m. to 4 p.m. The last tour begins at 3:30 p.m.
Saturday. 10 a.m. to 1 p.m. The last tour beings at 12:30 p.m.
Closed Mondays, Wednesdays and Sundays. General William Tecumseh Sherman used the house as headquarters when the Federal army occupied Savannah during the Civil War, upon the invitation of Mr. Green. It was at this time (December, 1864) that General Sherman sent his famous telegram to President Lincoln offering him the City of Savannah as a Christmas gift. In 1976, the house was designated a National Historic Landmark by the United States Department of the Interior. Mr. Green was not possessed of great wealth when he arrived in Savannah. He became a cotton merchant and ship owner. 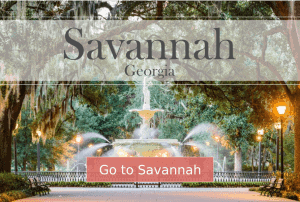 By 1850, he had amassed a fortune sufficient to build the most elaborate house in Savannah at a cost of $93,000. According to Green family records, $40,000 of the cost of the building materials including flagstones, laths, planks and bricks, were brought from England as ballast on Mr. Green’s ships. Recent restorations have revealed that the bricks were actually made at a foundry in Macon, GA. 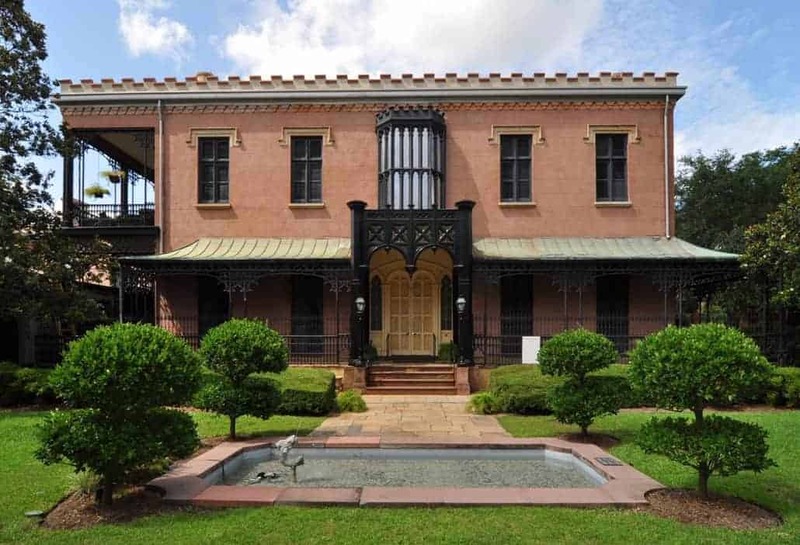 The Green-Meldrim House is one of the finest examples of Gothic Revival architecture to be found in the South. The house was constructed in the early 1850’s as the residence of Mr. Charles Green, an Englishman who came to Savannah in 1833. The architect for the house was Mr. John S. Norris of New York. Mr. Norris was in Savannah from 1846–1861 and during that time he designed not only the Green-Meldrim House but also the Custom House and numerous other fine residences. There are many unusual architectural features throughout the house. The front entrance has three sets of doors. The heavy outer double doors fold in and form a small closet on either side of the entrance. Of the other two sets, one has glass panels to give light and the third set is louvered for ventilation. There are marble mantles in each room in the house, the two in the double drawing rooms being of Carrara marble. Other original adornments in these rooms are the matching chandeliers and the large mirrors in gold-leaf frames which were brought from Austria. The graceful curved stairway with skylight above is a feature found in other houses designed by Mr. Norris. Also of special significance are the oriel windows on the east side of the house. The covered porch, on three sides of the house, is surrounded by ornate ironwork. The planting in the garden is not authentic to the period of the house, but after the removal of layers of soil it is believed that the pattern of the original flower beds was discovered and has been restored. The former kitchens, servants’ quarters and stable have been converted into the Rectory of St. John’s Church. The house has been owned by only two families and St. John’s Church. After the death of Mr. Green in 1881, it became the property of his son, Edward Moon Green. On July 14, 1892, the house was purchased by Judge Peter W. Meldrim. On December 30, 1943, the Meldrim family sold this historic treasure to St. John’s, thus ensuring its preservation.